Biomes O Plenty is a mod for Minecraft which adds in multiple new biomes for you to play in Minecraft. This Mod runs best with the 1.12.2 version of the game. In the default game, there are only limited biomes which start to become boring especially when you already have around 100+ game hours in your name. 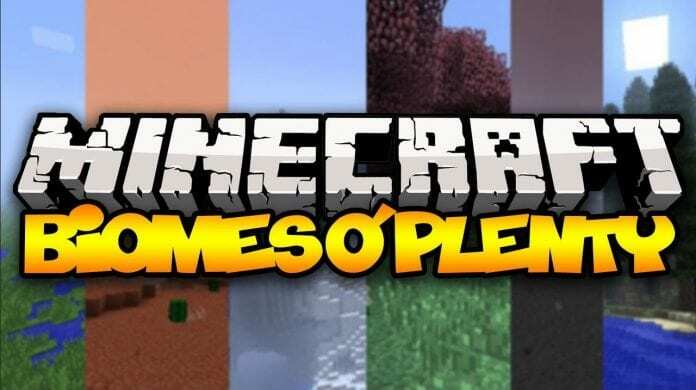 This mod makes Minecraft even more playable than before and is ensured to give you a new taste of the game as you try to adventure in new territories not present before in the vanilla version of the game. How to install Biomes O Plenty? If you don’t know how to install the Biomes O Plenty just look below, we’ll provide you with a short tutorial there. This installation guide should work with all Minecraft versions. To see the Official Download Links just scroll down.